Standing on these anti-fatigue mats is just plain Hog Heaven! 60' Maximum Length for Custom Cut. 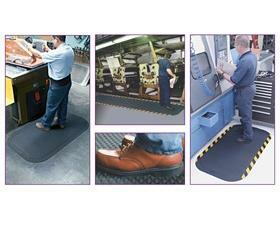 An excellent anti-slip, anti-fatigue mat when wet. 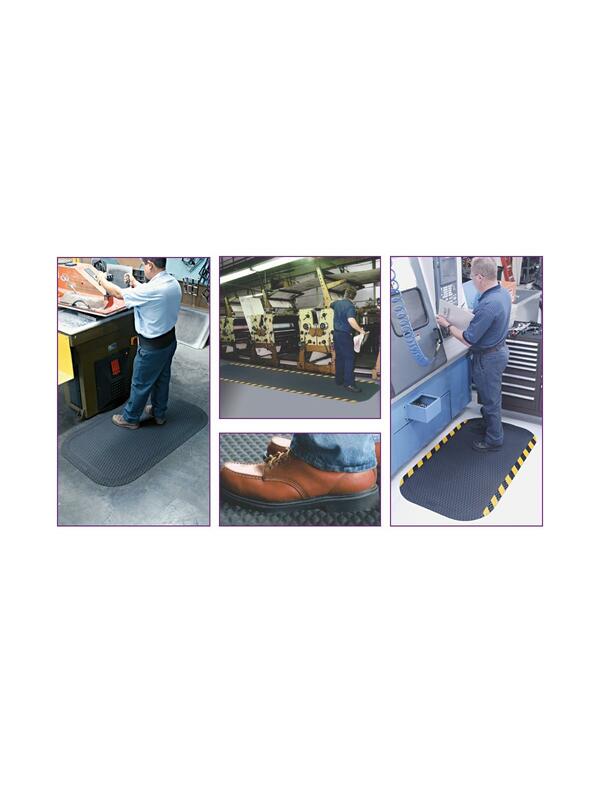 Slip coefficient of .86 – Certified by the National Floor Safety Institute. Electrically conductive with an electrical rating of 10 to the 4th ohms. Welding safe. 100% Nitrile rubber surface ages gracefully, minimizing cracking, tearing and rippling of the borders. May be pressure washed or hosed off for easy cleaning. Available in 5/8” or 7/8” thickness with Solid Black or Striped Yellow Borders for danger alerts. FOB Shipping Point. See Related Items tab for Hog Heaven 5/8" & 7/8" Thick.